A chemistry teacher who wanted to travel to Syria to fight with the Islamic State (IS, formerly ISIS/ISIL), despite his family’s desperate plea not to, was jailed for six years on Thursday. Jamshed Javeed, from Manchester, was “determined to fight jihad” despite pleas from his family not to, Woolwich Crown Court heard. Javeed, 30, admitted he intended to travel to Syria to join rebels fighting against the government, but said he only wanted to support ordinary Syrians, not to join the militant IS group. He was planning to travel in late 2013, after he helped his younger brother make the trip to Syria. UK-born Javeed, of Pakistani heritage, taught at Sharples School in Bolton. His family tried to stop him from traveling to Syria by hiding his passport. He refused to change his plans even after his wife Shamelia told him she was pregnant. His sister recorded an angry argument between Javeed and his family about his plans to leave for Syria. “I don’t care about the police. They can arrest me. I’m not bothered,” Jamshed told his parents. He was arrested just hours before he was due to leave the UK for Syria. Police found £1,490 in cash, thermal gloves and combat-style trousers in a rucksack during a search at his home. His internet history showed he researched jihadist extremism, radical clerics Abu Hamza and Abu Qatada and the jihadist group Jabhat al Nusra. He said Javeed played an “important role” in helping his younger brother and three other men travel to Syria to fight. 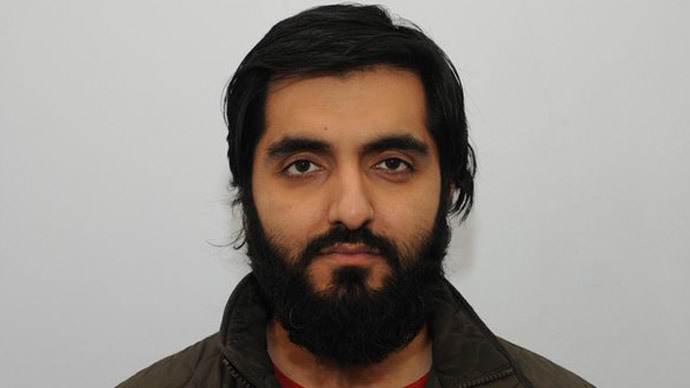 Speaking after sentencing, Detective Chief Superintendent Tony Mole of Greater Manchester Police said: “Javeed was an otherwise law-abiding man who had a responsible job, a child and another one on the way. “However, from August last year both his appearance and behavior started to change and in a short space of time he started to support the ISIS cause and those planning to travel to Syria. His father, Mohammad Akram Javeed, said, “I believe Jamshed is definitely not a violent extremist who was or is a danger to the UK. “I believe that he thought it was the right thing to do to help the Syrian people by traveling to Syria.